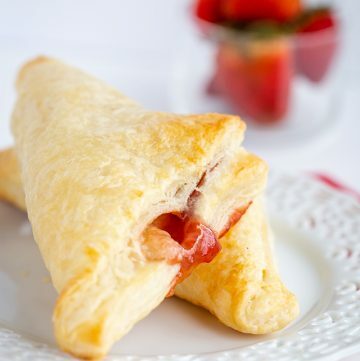 This easy strawberry cream cheese turnover recipe is flaky and delicious. Each turnover is stuffed with cream cheese and strawberry jam. They’re brushed with an egg wash to give them a golden shell. These turnovers are so addicting. The puff pastry provides so many thin, crispy layers. The cream cheese and jam starts to melt together as it’s being baked. Each bite is full of sweet cream cheese and strawberry jam. 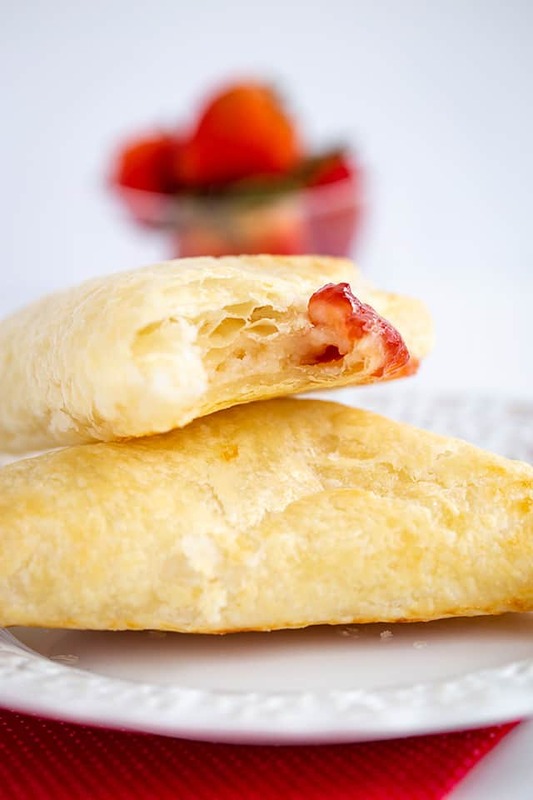 Wewalka Puff Pastry – The secret to all of those flaky layers in this turnover. Puff pastry is so easy to work with and always leaves recipes looking and tasting amazing. 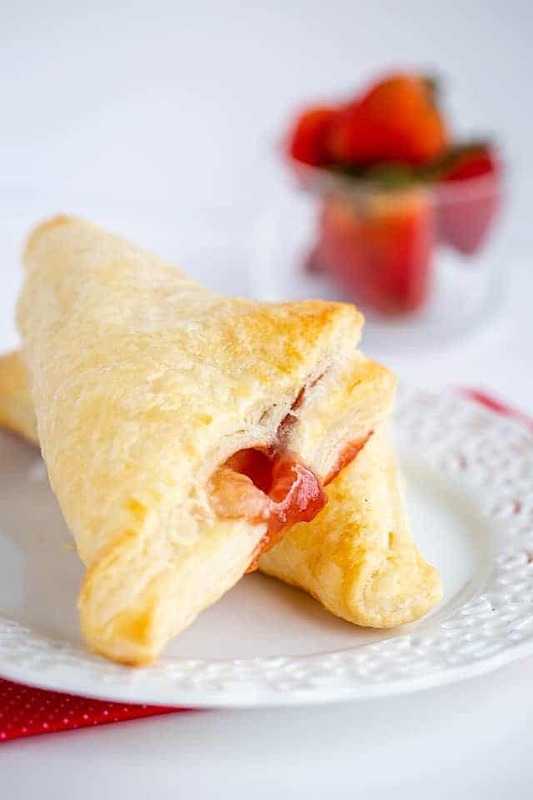 strawberry jam – strawberry preserves would also work if you’re looking for some chunky strawberries in your turnovers. cream cheese – full-fat cream cheese works best in this recipe. With the cream cheese at room temperature, everything can be mixed together with a spatula. powdered sugar – I like to sift the powdered sugar because if it isn’t sifted it can leave the cream cheese mixture lumpy. vanilla extract – a high-quality vanilla extract is a must to help provide the flavor for the cream cheese. To make these turnovers, start by adding the cream cheese to a mixing bowl. Use a spatula or an electric mixer to mix the cream cheese until it’s smooth and creamy. Add in the powdered sugar and vanilla extract. Stir(or beat) until the powdered sugar is incorporated and the cream cheese is smooth. Set the cream cheese aside. Roll the puff pastry out onto a clean countertop. I leave it sitting on the parchment paper it was packed with. Cut it into 6 equal pieces. The puff pastry will end up looking more like rectangles than squares. Add about 1 1/2 to 2 tablespoons of the cream cheese mixture diagonal across the puff pastry. Add about 1 tablespoon of jam on top of the cream cheese. Spread it out evenly. Fold the puff pastry over and pinch the sides together with your fingers. To help keep the turnovers sealed, use a fork to crimp the sides together. Place the strawberry cream cheese turnovers on a parchment-lined baking sheet. Brush the tops of the turnovers with an egg wash and bake for 25 minutes. Some of the filling may bubble out of the sides of the turnovers. 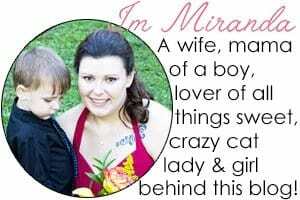 Check out some other strawberry recipes that I’ve made too! 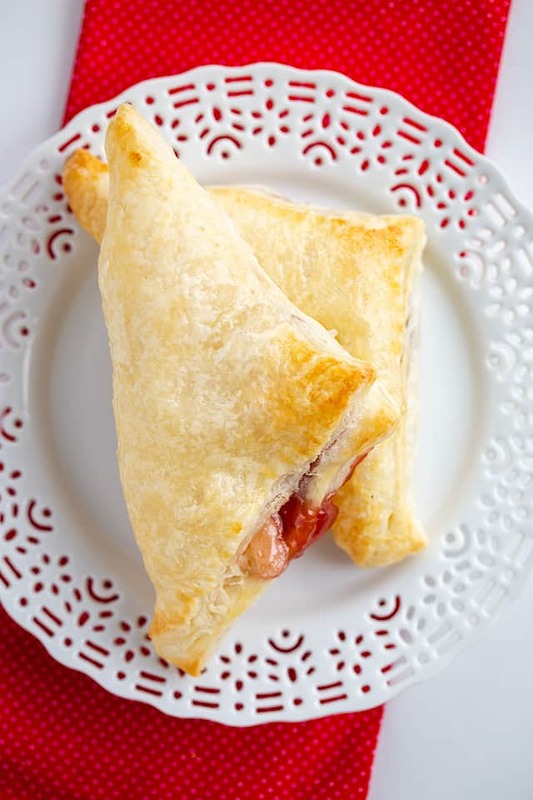 This easy strawberry cream cheese turnover recipe is flaky and delicious. 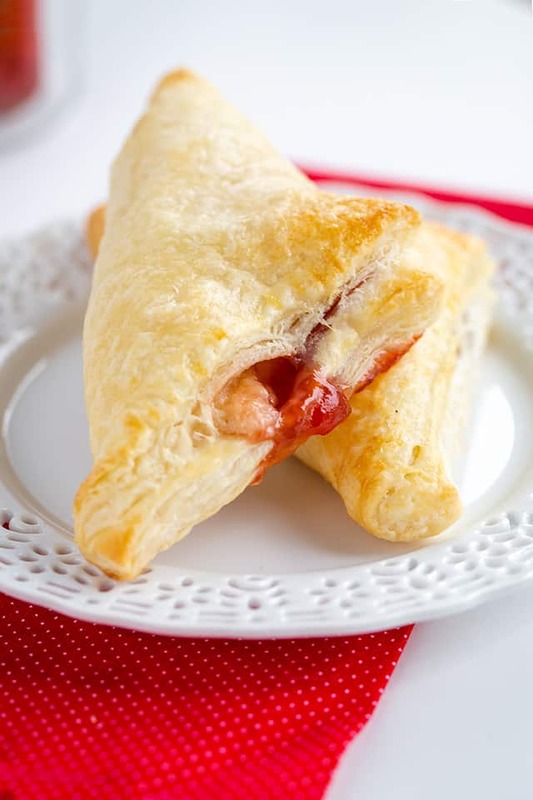 Each turnover is stuffed with cream cheese and strawberry jam. They're brushed with an egg wash to give them a golden shell. In a mixing bowl, add in the cream cheese. Using a spatula or hand mixer, mix until smooth and creamy. Add in the powdered sugar and vanilla extract. Mix until the powdered sugar is thoroughly incorporated and the cream cheese mixture is smooth. Set aside. Unfold the puff pastry out onto a clean countertop. Cut it into 6 equal rectangles. Put 1 1/2 to 2 tablespoons of cream cheese mixture diagonal across the piece of rectangle puff pastry. Add 1 tablespoon of strawberry jam on top. Spread it evenly out. Fold the puff pastry over and pinch the sides together with your fingers. Place the turnovers on the baking sheet. Using a fork, crimp the sides of the puff pastry to ensure they stay together. 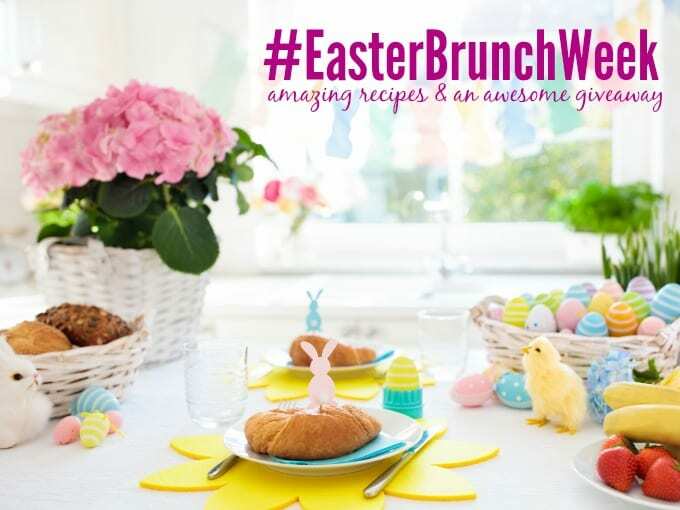 To make the egg wash, add the egg and water into a small bowl, add in the egg and water. Whisk together until thoroughly combined. 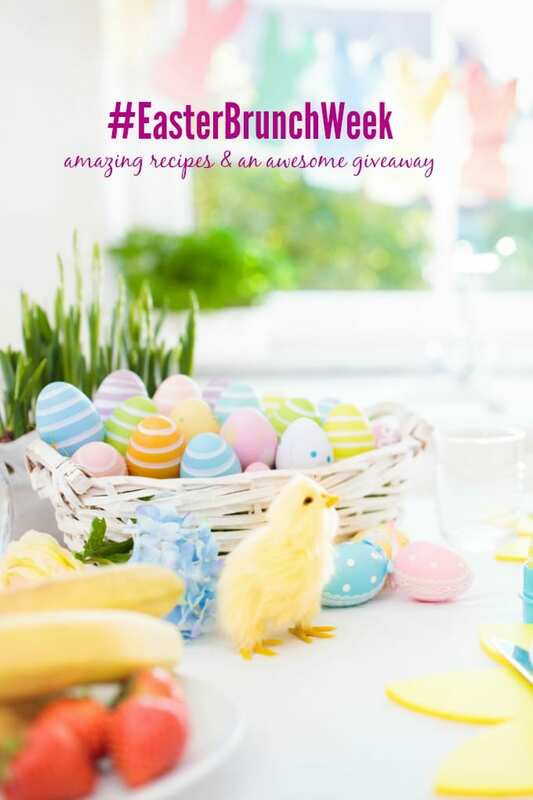 Brush the egg wash on top of all of the turnovers. Place into the preheated oven and bake for 27 - 29 minutes until the tops of the turnovers are golden brown.